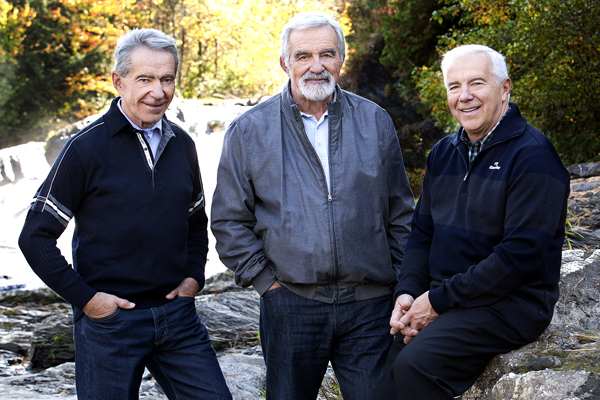 Laurent, Bernard et Alain Lemaire, founders of Cascades. It’s no secret: entrepreneurship is an integral part of the Lemaire brothers’ DNA! It all started with the family recycling business, with the young brothers helping their father Antonio collect paper, metal and iron for resale. These impressive builders have taken the next generation of entrepreneurs to heart since the beginning of their successful adventure. They are involved in a number of organizations, including the École d’Entrepreneuship de Beauce (Beauce school of entreprenesurship), the Quinzaine de l’entrepreneuriat Cascades de l’Université de Sherbrooke and the Fondation de l’entrepreneurship. Alain Lemaire, the youngest of the family and co-founder of Cascades, is a business coach for young student-athletes at the École d’Entrepreneurship de Beauce. For the past five years, Québec’s greatest entrepreneurs have been sharing their experience with passionate young business people. The key difference at EEB is the “E to E,” or entrepreneur to entrepreneur model of sharing. This is the model that Alain uses as a recognized entrepreneur as he gives workshops and shares his history and values with ambitious business leaders. These young leaders dream of carving out their own niche in the business world and investing in their communities, just like their mentor. Windor Dorméus is one of the young entrepreneurs who took part in Alain’s experimental workshop at the École d’Entrepreneuship de Beauce. He’s working on creating a mobile application that teaches the basics of finance to elementary students. The app is designed as a game that takes place on a ship, where shipmates in search of treasure take on challenges that test their survival skills. In fact, Windor launched his fundraising campaign just a few days ago! The Quinzaine de l’entrepreneuriat Cascades, organized by the Institut d’entrepreneuriat de l’Université de Sherbrooke (entrepreneurial institute of the Université de Sherbrooke) has been around for the past 13 years. The event, which takes place each year over a two-week period, offers the entire student body as well as the general public the chance to take part in a number of activities that allow business enthusiasts to meet with seasoned professionals. The 2015 edition of the Quinzaine Cascades will take place from March 16 to 30. Do you dream of starting your own business? Would you like to learn more? Click here more details: www.quinzaine.ca. Cascades and the Fondation de l’entrepreneurship have been collaborating for many years to promote economic and social development in Québec. As builders, the Lemaire brothers believe in creating, innovating and taking action to ensure a dynamic and prosperous society for future generations. 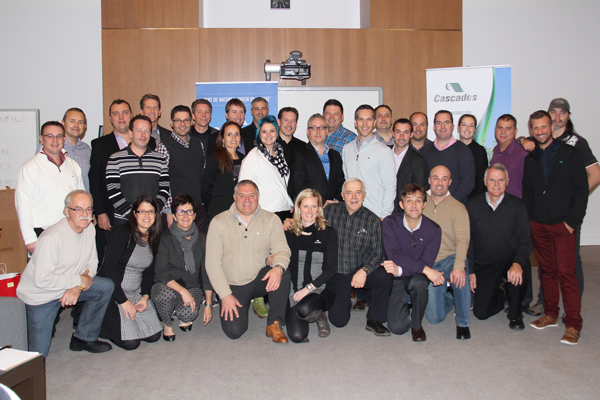 Cascades proudly supports the foundation through its participation in mentor programs and various events. In April 2014, the foundation paid tribute to the Lemaire brothers as part of Cascades’ 50th anniversary. What about you? Do you have the entrepreneurial spirit?